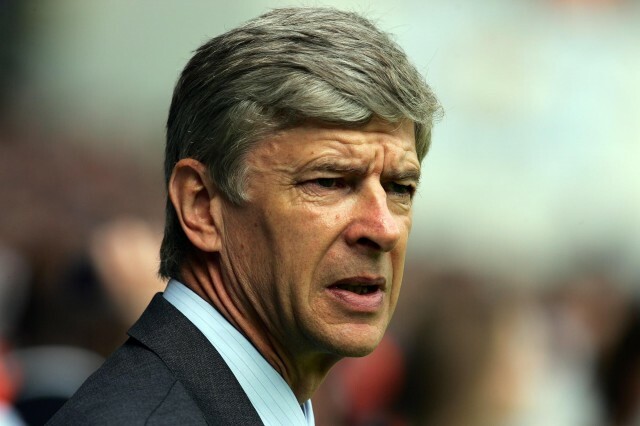 Arsene Wenger interested in Wayne Rooney? What’s the latest in our beloved Premier League? How’s your club doing? I give you my opinion in a nutshell. 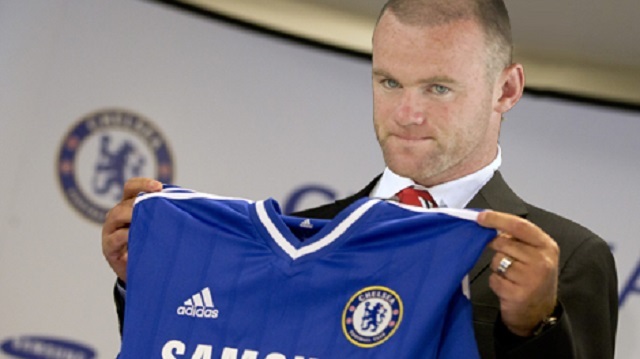 I see Wayne Rooney going to Chelsea and lifting the trophy for the Blues this year. Do you agree? Read my thoughts on the top 6 teams and leave your comments below. I see Wayne Rooney going to Chelsea and lifting the trophy for the Blues this year. The Rooney saga continues and no one knows if he will still be a Red Devil next season. Last year he looked a bit flat and the arrival of Robin Van Persie certainly affected him. He used to be the Old Trafford hero and the Dutchman has stolen the show. My opinion is that he needs a new challenge. He still has what it takes to inspire a team to win the Premier League and he feels that this team could be Chelsea. A move to Arsenal would be a terrible mistake, but the arch-rivals Chelsea look like they are favourite this year to lift the much desired trophy at the end of the season. Chelsea has a squad of talented and skilled players and they just need this special man to make it to the top. He won’t go abroad I reckon and his family wants him to stay in England. 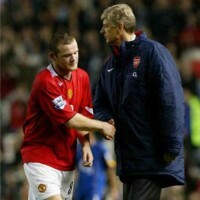 the arrival of Robin Van Persie certainly affected Wayne Rooney. He used to be the Old Trafford hero and the Dutchman has stolen the show. Jose Mourinho, ‘the special one’ as we just said is very keen to get Wayne Rooney in his starting eleven but even without him he’s got a fantastic team and he’s a fantastic manager so what could go wrong this year. I personally think they will win it. Barcelona still wants David Luiz, criticized earlier on this year for his lack of defensive abilities by Mourinho and to be honest I’d like to see him leave too. He’s a decent centreback but acts as a midfielder and when he tries to show off with the ball at the back he loses it and costs the team goals. As a centreback he should stick to defence, that’s what I think. David Luiz lifting the Europa Cup where he was decisive last season. Pellegrini is a composed man, he’s old, he’s seen it all, I think he can take the pressure. City will definitely be a strong title contender this year. The team looks pretty much the same as last year with a few additions and it is a strong side. 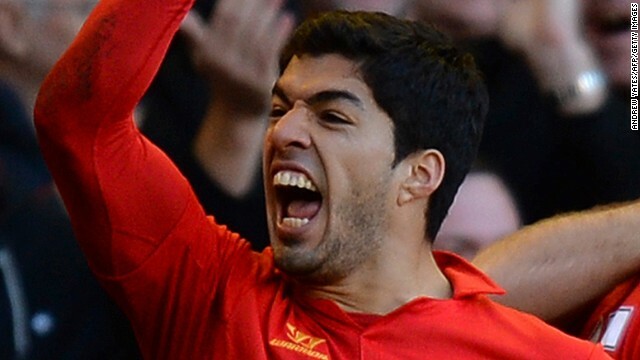 If Suarez leaves it will be extremely hard to replace him and Brendan Rodgers knows that. If Suarez leaves it will be extremely hard to replace him and Brendan Rodgers knows that. Bayern Munich wants the Uruguayan but Pep Guardiola doesn’t like him. Let’s hope he will stay for the sake of the Premier League. He’s a top player. Again, Arsene Wenger didn’t spend this summer when Arsenal badly needs a world class player if they want to do more than just finish in the top 4 this season. The Higuain bid was a flop,l et’s hope they will sign a big name if not I fear they won’t make it. They finished well last season, true, but it won’t beat enough to threaten the likes of Man U, Chelsea and City. Arsene Wenger didn’t spend this summer when Arsenal badly needs a world class player if they want to do more than just finish in the top 4 this season. 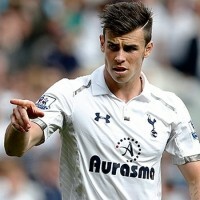 If Bale stays they will again be a strong competition to the top 4 but not yet a title contender. If Bale goes, they won’t be able to replace it like for like. They will have to use the money to buy two or three top players that will gel and strengthen the team and then yes, they will look dangerous.